With club soccer on break for the March international window, MLS kept some of the games going. Jason Davis worked through the issues this created for clubs losing players to international duty. Ten MLS teams saw action with limited rosters, and the Philadelphia Union took full advantage. Philadelphia shutout the Columbus Crew 3-0 at home. David Accam scored in the 31st and 41st minutes and assisted on Ilsinho's goal in the 48th. Carlos made one save to keep the clean sheet. FC Dallas beat Colorado 1-0 at home. Michael Barrios put Dallas up in the 35th with Tommy Smith equalizing in the 69th. Ryan Hollingshead scored Dallas's winner in the 82nd. USMNT goalkeeper Jesse Gonzalez was in goal for Dallas, making a brief return from USMNT camp before rejoining the National Team in Houston. "I think our biggest frustration from the day was probably the start of the game," Rapids coach Anthony Hudson said. "That’s the area we have to improve, because that’s twice we’ve come away from home and we’ve started slow and put ourselves behind. We did well to come back, but we can’t put ourselves in a position like that." Orlando shutout New York 1-0 at Red Bull Arena. Sacha Kljestan scored the game's only goal in the 73rd with Brian Rowe making three saves to keep the clean sheet. LAFC came back to beat Real Salt Lake 2-1 at home. Damir Kreliach converted an RSL penalty in the 35th minute. Diego Rossi equalized for LAFC in the 40th. RSL went a man down in the 84th with a red card to Justin Portillo for a serious foul. Walker Zimmerman scored LAFC's winner two minutes into stoppage time. 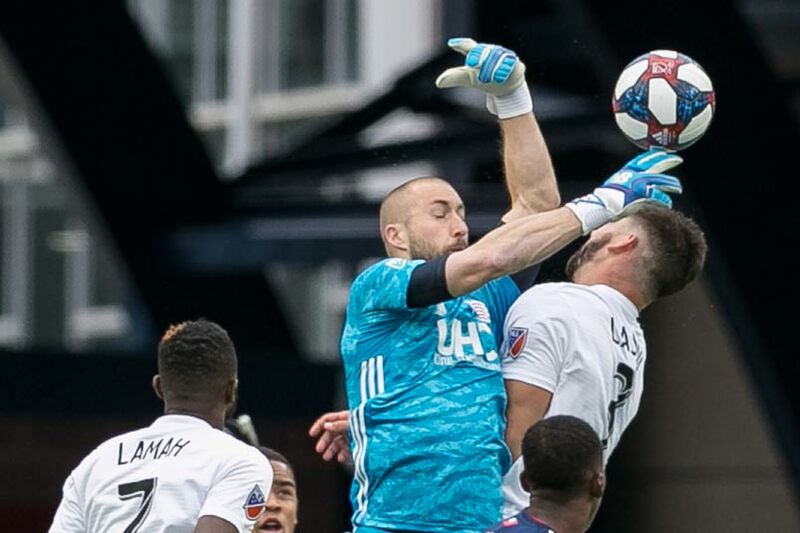 Week 4 ended at Gillette Stadium with the New England Revolution losing 2-0 to FC Cincinnati. Kekuta Manneh scored in the 44th with Kenny Saief assisting. Saief scored in the 65th with Manneh picking up the assist. Spencer Richey kept the clean sheet with two saves. "It's huge," Cincinnati coach Alan Koch said. "Obviously, coming on the road and getting three points is an amazing achievement for our club. We spoke to the guys on the field and we said, when you signed up for this project, you knew we were going to go through ups and downs. We've gone through a lot of ups and downs already in the last few months, but we also knew we were putting ourselves in a position where we can go have a lot of historic milestones. Tonight, come on the road and get our first three [away] points in this league, it's obviously a huge achievement and I'm very, very proud of the group." Also in the soccer news, Inter Miami's Jorge Mas makes the case for his team starting in Fort Lauderdale in a letter published by The Miami Herald. Mas wrote, "Across the league, it is common for teams to play home games at a site closer to the urban center, while conducting training and other support activities at facilities off-site. Teams in New York, New Jersey, and Atlanta are just a few examples. Our goal is to create a soccer club anchored in Miami that is a source of pride for residents here and across all South Florida." MLS is no stranger to the South Florida problem when it comes to expansion. Miami FC never played in that city full-time, opting for Fort Lauderdale's Lockhart Stadium. Reviving Lockhart is now Inter Miami's plan for where they will start their MLS run. It's an interesting reminder of that South Florida problem, even if Inter Miami only see it as a short-term answer. MLSsoccer's Matthew Doyle's review of week 4. The NY Times' Rory Smith looks at young English players opting for the Bundesliga. ESPN's Nick Miller reports on Germany beating the Netherlands in Euro 2020 qualifying. Yahoo Sports' Leander Schaerlaeckens with Argentina's issues.